I am planning another trip to Artpark with my mom and hoping it does not rain. Normally I do not care about rain even when we get it all the time. I can even admire pictures of rain! The picture above came in this email someone sent me so I flagrantly ripped it off for my Web log. Here is another picture of rain I like. In the picture I originally saw the raindrops were moving in the air but zut alors, I could not figure out how to transfer that and make the raindrops work. 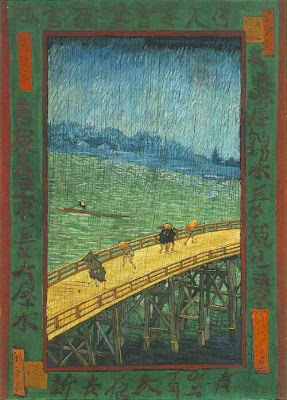 Here is a picture Van Gogh painted of rain. 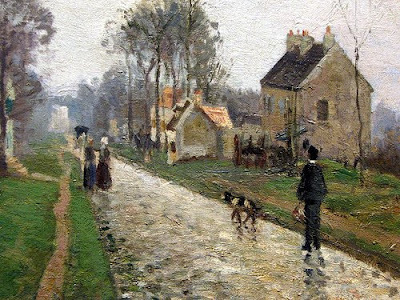 Van Gogh was good at painting rain but not as good as Camille Pissarro. Last summer every time I went to Artpark with my mom it rained. I got so fed up one day, remember, that I said to God, "Thanks a heap." Because I had been praying for the rain to stop! I was in that situation when I went to "Tannhauser" with Leonard Pennario, too. I remember praying and praying. Click on that Pennario link and you will hear Chopin's "Raindrop" prelude! That is the first one you will hear. We are getting strange days when the sun comes out but the rain continues. 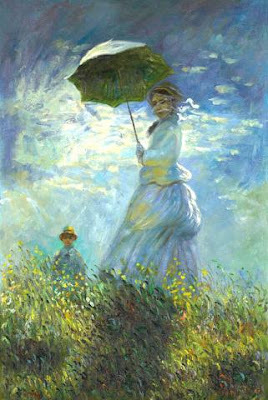 Monet knew weather like that. 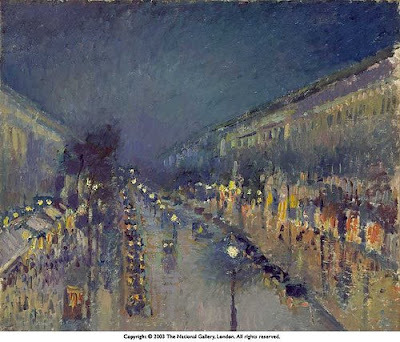 In our family we believe Pissarro was a better painter than Monet. Perhaps when I go to Artpark I will make some sketches of the rain. You know it will be there! In our family, we believed Juan Pizarro was a better pitcher than Roger Moret. Rain always brightens my day!